Our academy is an extremely special place in which everyone shares a passion for learning and sees their futures as full of possibilities. 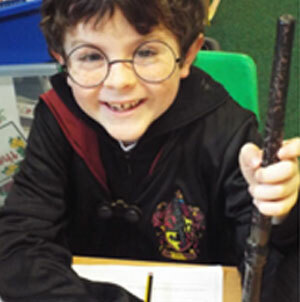 We have the highest aspirations for all children, high quality learning and teaching promotes excitement and enthusiasm for learning which enables all to be successful, independent, confident and resilient learners. We have received a letter from the Schools Minister, congratulating us on our high quality learning and teaching in Early Reading. This led to our children achieving outstanding results placing their attainment in the top 5% of all schools nationally. We are very proud of our learners. We ensure that our values of honesty, enjoyment, achievement, respect and teamwork are at the heart of everything we do. 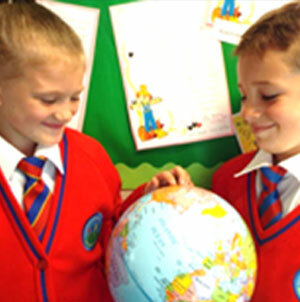 We are an inclusive and caring community, together we create a nurturing and secure environment where each child is valued and recognises that they are special and important. In turn we value others and recognise our responsibilities towards one another. We are passionate about actively engaging every child in learning so that they are able to achieve their full potential, knowing that they are cared for and supported on their learning journey. Our mission statement, "Continuing the Learning Journey Together" reflects our commitment to continual improvement, ensuring that we provide the very best opportunities for our children and families. As part of the St Bart's Academy Trust we work in partnership with other ambitious schools, sharing skills and expertise for the benefit of all children across the trust. We endeavour to work in close partnership with our families and we look forward to "Continuing the Learning Journey Together" with you and your child. We are proud of our Academy and our children are proud to be members of our very special Park Hall family. We extend an invitation to you to visit our academy to see and experience for yourself our happy, friendly and successful school. We hope that you enjoy exploring our website and we look forward to meeting you soon. If you require paper copies of any documents on the website, please contact our admin staff who will be happy to assist you.